The death of a four-year-old girl, Kristina Hepp has raised new questions about how cases handled by the Department of Children and Families (DCF) are handled. Kristina was born in July 2004 to her mother Elizabeth Hepp, 16-year-old, and immediately concerns were raised over the care of the child. DCF contracted with Partnership for Strong Families (PSF), a private group, to manage Kristina’s case. Kristina was allowed to stay with her mom, but caseworkers visited routinely. Elizabeth was ordered to take parenting classes and have routine drug tests. In addition, she was ordered to disclose who the father of Kristina was. Paternity tests confirmed that Matthew Roland was the father. Criminal background checks reveal that Roland, 22, had a criminal history that dated back to 2000, and included charges involving drugs, burglary, battery, and violation of probation. Records show that PSF was required to develop a case plan to help Roland parent Kristina. At that same time, Elizabeth’s attorney requested that her case be closed because she had successfully completed her case plan. Judge David Glant, who was assigned to the case, granted the request. However, DCF’s records indicate that Elizabeth’s case plan was not complete, and that Roland’s case plan was never adopted by the court. After the dependency case was closed, 13 months later, Elizabeth moved back to Kentucky and Roland filed a motion for temporary custody over Kristina. 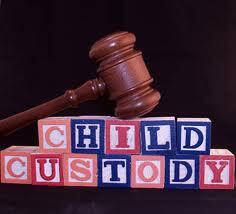 Glant awarded custody of the four-year-old to Roland, finding that he had the ability to provide for her. Two months later after living with Roland she was dead. According to DCF records, Kristina was tortured with a hair iron and beaten to death. Roland was charged with first degree murder. A lawsuit has been filed against PSF for negligence on behalf of Kristina’s estate. Helen Spohrer, attorney for Kristina’s estate, said that the child was allowed to have contact with someone the system did not know anything about. Shawn Salamida, CEO of PSF, said that they were never contacted by the family law court when Roland was seeking custody. Salamida said that there is no centralized system in place where DCF, its partnering agencies and the courts can see a child’s case history. For more information on this topic, see Kristina Hepp Dies in Father’s Care; Jacksonville Step Parents Left with ut Answers.